Mvuli House is a standard bed and breakfast accommodation for traveller seeking value and convenience. 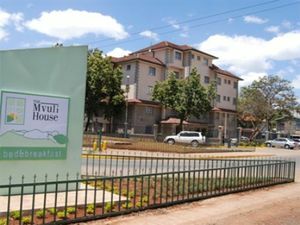 Mvuli guest house is located 15 minutes from the Jomo Kenyatta International Airport, 5 minutes from the city centre and the Wilson airport, the Mvuli House sits at the junction of Langata road and Muthaiti Avenue off the main Mombasa Road. Mvuli House is the solution to high quality bed and breakfast accommodation for the traveller seeking value and convenience. Airport transfer from Nairobi Jomo Kenyatta International airport or Wilson airport to Mvuli Guest House or trasfer from Mvuli Guest House to Nairobi Jomo Kenyatta International airport or Wilson airport.